Discussion in 'The Shop' started by BmxConvert, Jan 13, 2013. This might seem like a bit of ridiculous idea but I'm after a single-speed hub that is 142x12 compatible. I have a NOS all aluminum 8-speed cassette that I've pulled apart and had new spacers made to make that of a 10-speed spacing. I also pulled out 3 cogs to give me a total of 5 gears, ranging from 12-23t with 10-speed spacing so I can take advantage of my Saint Shadow Plus rear derailleur. The "new" cassette takes up 18mm total so it's fit most single speed hubs and give me a wider flange spacing. 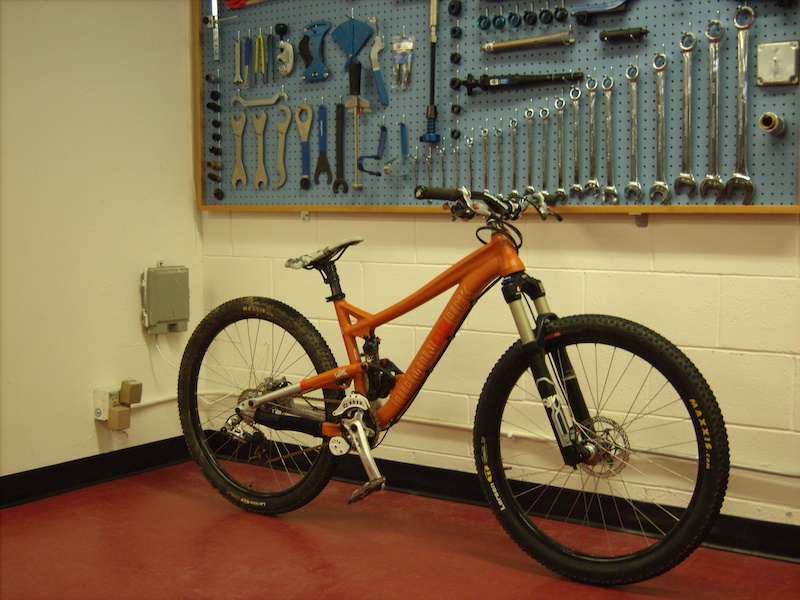 The goal: A super compact, quiet drivetrain with the ability to have a gear for most any occasions. The setup is going to go on my 2013 Diamondback Mission 4x. I know Hadley is listing a 142x12 SS hub but it doesn't seem to be available. The 2010+ 240 SS hubs just require new caps to be converted. Unfortunately, I want to be cheap this year and don't feel like spending that much on a rear hub. Are there any other SS rear hubs that can be converted to 142x12? I have a Hadley SS hub and the 142 axle, something is not right with it and it does not work, clicks and snaps like it doesn't carry the free hub body correct. The end cap is aluminum where my standard axle version is steel, not sure if it is undersize or built wrong or what, I don't know. I have a new King standard hub with a 142 axle and steel free hub body I am going to switch to as soon as I feel like building wheels. I've got Kings on the bike right now. They were originally 135 QR/20mm. I ordered up a 142x12 conversion and slipped it in and it's been great. However, I'm moving the Kings to my trail bike. I've never run Hadleys or Hope's and neither of them have ever really caught my fancy. It seems that 12mm Hope's have a history of the axle breaking. I'd like to give the Halo XCS hub a try but I'm not positive the 142x12 axle for the XCD will match up in the XCS. The 142 spacing already kills the dish. Why would you need a SS freehub? 142 is no different than 135 in terms of center to flange measurement. Essentially they cut a 3.5mm slot in each dropout for the hub to slide into then added the 3.5mm to either side of the axle. It creates a wheel with the same dish as a 135. It's what the frame has so I've got to work with it.